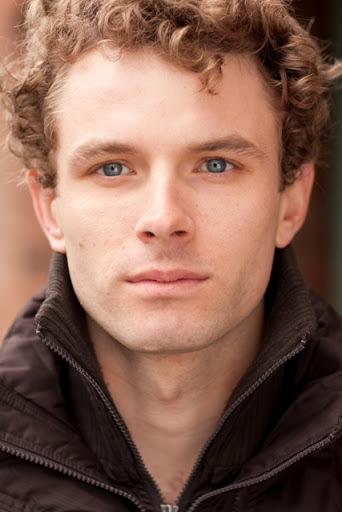 Born and raised in Toronto and educated at the Etobicoke School of the Arts, Sebastian Pigott’s numerous credits include multiple TV series’ The Listener, Haven, The Bridge, and Deadliest Sea, and feature films Small Town Murder Songs and SAW 3D. Pigott has a recurring role on Being Erica, and holds a supporting role in the film High Chicago. He also enjoys writing music and screenplays, and taking his Honda Shadow 750 RS across Ontario to fish and go camping. He currently lives in Toronto. We had the opportunity to have a quick drink with Sebastian and we got to talking about upcoming projects, his time on Canadian Idol, and his love for fishing. Thanks for visiting us on the fourth floor, Sebastian! I am an actor, writer, and a musician. I went to Etobicoke School of Arts but I didn’t have great passion for it. That came later, about seven years ago, when I started studying as a profession. That was followed by the requisite years of poverty and desperation, then you start to cobble together a living. That’s what drove me to pursue writing, which has proved to be most excellent. How long have you worked with rock-it promotions? Known Debra for a while now, but officially with rock-it for the last couple months. Why is PR important to you? I think it goes back to the idea that in my line of work, there are things that I have to do. I want to work and I want to make myself more employable. So I have to do things that will expose me and ultimately, make me more employable. I’ve been lucky to be able to write, act and sing. I would be happy to finger paint if that’s what people wanted me to do – it’s a fortune to be a professional artist. I find doing media a little tough. It’s such a big part of what we do and yet at the same time, not at all what we do. I mean, who’s to say that a person that plays the guitar is going to be a great conversationalist? They may come across as boring on paper. I think that should be a new title, professional conversationalist. On the show Being Erica, your character Kai Booker is often referred to as a time-traveling singer/musician. I know you have a musical background. Are there any other qualities you and Kai share? I’m pretty much playing myself! That being said, I’ve had to dig inside to darker places to get inspiration [Ed. note: Kai, Sebastian’s character is an opium addict]. At the end of the day, Kai’s a guy hung up on a girl, there are other things going on, but the main thing is being hung up on a girl. And that’s easy to relate to. You got your musical break during Canadian Idol, what was that experience like? I did it on a whim. I didn’t go in thinking I was going to audition, I just went along to hang out. I think this is what gave me an advantage over other people, I was more relaxed than the other contestants. After being on the show [he ended in top 10], doors started opening up. Opportunities like Being Erica came up, which is pretty cool. I’ve written a film that is now being looked at by some key people. I can’t say much, but it appears we’ve found a producer in the US (knock on wood). This is going to be a great project. I’m (cautiously) over the moon. Designer: Versace. I have a vintage Versace jacket and I love it. Book: Graham Greene’s Brighton Rock. Snack: Liquorice, although I recently found out that I have a gluten allergy, so I get by on nachos. Motto in two a few words: It’s harder to walk forward when you are stepping on your own feet. Idea of perfect day off: Going fishing! Especially going up to Big Rideau Lake. Went there last weekend and caught a 26” pike. Indulgence: Candy, I have a ridiculous sweet tooth. Greatest achievement: The song that my brother and I wrote for Kai. We got some great feedback and tons of YouTube plays. [Ed. note: over 200,000, to be precise].